Russian State Corporation Rostec is implementing the project of building the country's first transport aircraft - Il-112V. The components and assemblies of the new plane, built by Rostec's organizations, successfully performed during the first flight of the plane. 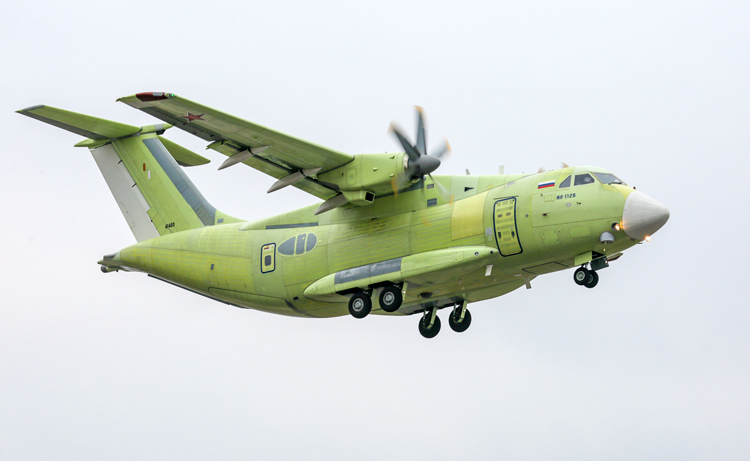 The first prototype of Il-112V, built by United Aircraft Corporation (UAC), took to the air in Voronezh on March 30. All components of Il-112V are made in Russia. It is equipped with modern TV7-117ST turboprop engines designed and produced by United Engine Corporation (UEC) and has a maximum take-off power output of 3100 hp. These engines are distinguished by their modularity and efficient fuel consumption, having some of the best parameters within its class. In addition, the Radio-Electronic Technologies Concern KRET is implementing an automatic control system and Technodinamika holding company has designed the plane's landing gear, hydraulics and power supply systems. "One of the key advantages of Il-112V is the possibility to operate on unpaved runways. The plane can be used in very difficult conditions, such as high-altitude airfields and extremely low temperatures", pointed out Anatoly Serdyukov, the Director of Rostec's Aviation Cluster. "The predicted transformation of route networks and aerial transport structures in Asia [including India], China's increasing efforts to implement the Belt and Road Initiative, as well as increasing air traffic between the countries of Latin America make us confident about the high demand for the Il-112V in both Russia and abroad. In the next 20 years the global demand for this class of aircraft is predicted to be about 450-500 planes."